Water is too precious to risk! The Cocky Valve is an Australian owned and designed Stock Trough Valve that has an extensive history beginning back in the year 2000. The product was designed by the owner and founder of the company Peter Cocciardi. Peter and his family were living on a small farm in Arawata, Victoria. Arawata sits between Korumburra and Leongatha in the foothills of the Strzelecki ranges. The property was rather hilly which is not unusual for this area of Sth Gippsland made famous by the Kami Worm and its large Dairy industry. Peter was undertaking a major farm redesign under close “direction” of his wife Geraldine as part of the Batchelor of Farm Management she was completing at the time. Much of the setup of the farm was going to adopt KEY LINE farming principles and therefore a significant number of additional stock water troughs were required. Despite the water supply being largely gravity fed from existing dams, the topography resulted in some very high head pressures. Static Head pressures of 60 – 80 meters (620kpa – 825kpa) were not uncommon in the area. The valves on the market at the time all seemed to struggle. Firstly holding back the pressure and if they did so then the flow rates were extremely small. Many of the dairy farmers in the area were also struggling with getting trough valves that would meet the growing pressure being applied for them to increase herd size. So, the problem was not just something Peter was trying to deal with but the area and farming sector as a whole. Having tried a number of valves ranging from plastic, to diaphragm, to those with arms to the latest “armless” styles Peter decided to design his own. Peter was running his own small drafting service from the converted dairy. So, over a period of about 9 months and many trials he designed a valve that was the predecessor of the valve you see today. This was the VERY FIRST prototype trailed on a neighbour’s farm. While it doesn’t look anything like the valves you see today, it enabled Peter to verify many of the design principles he wanted to incorporate. 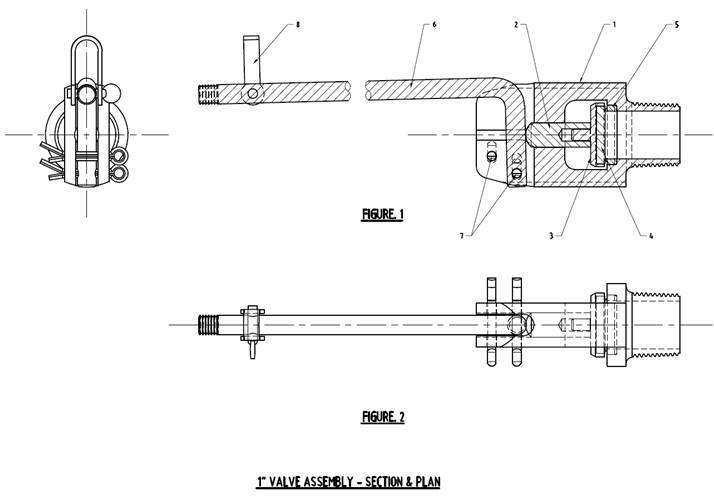 From the beginning he wanted the valve to be FULL FLOW and handle pressures of 150 psi (1034 kpa). Frome this humble and quite basic design, Peter quickly moved onto a more advanced model. This was done with the help of his wife’s uncle, a Mr Michael Rowe. “Uncle Mick” spent a lot of time working with Peter, helping him to take his designs from design drawing to a working proto type. 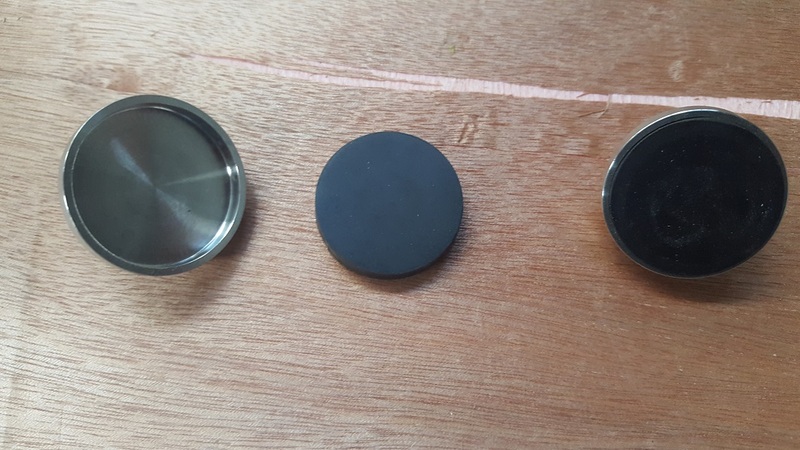 The next significant step was to create a small die that could be used to refine the “final Design” design that was fast taking shape. The above is the actual die that was first used to cast the very first valves prior to machining. Yes, it was basic but it worked! Next came refining of the drawings for the “final design”. Peter is the first to admit they were a little naive thinking the design would ever be “final”. Even now Peter is regularly providing small improvements or adaptations for specific installs. At the time Peter finished the first set of “final design” drawings he was still a long way from the “final design”! This was page 1 of the initial set of drawings for the Final Design. It did set the basic shape and incorporated many of the design principles that had been set from the beginning. The valve was Full Flow and was capable of operating in the required pressures of 150 psi (1034 kpa). These drawings allowed Peter to quickly finalise the die and begin casting the first prototypes. They also formed the basis of his Patent application (patent Pending PP7398) which was ultimately granted. With the design now being locked down the focus quickly moved to the materials to be used. Peter had found through his own experience, that plastic valves were too unreliable for most installs. They seemed too easily broken if exposed to stock pressure. With most troughs in the area being conventional round concrete type, Peter decided his valve needed to also be Stock proof! This was also becoming a concern for his dairy farming neighbours who were seeing many valves breaking from stock pressure. Peter decided that the body should be brass and the arms stainless steel. The brass however would not be what was (and remains commonly used) “Pot Brass”. “Pot Brass” is a term broadly given to brass used from recycled materials or from brass of lower quality. Many of the valves you see today use lower quality compositions to keep the price of the castings as low as is possible. 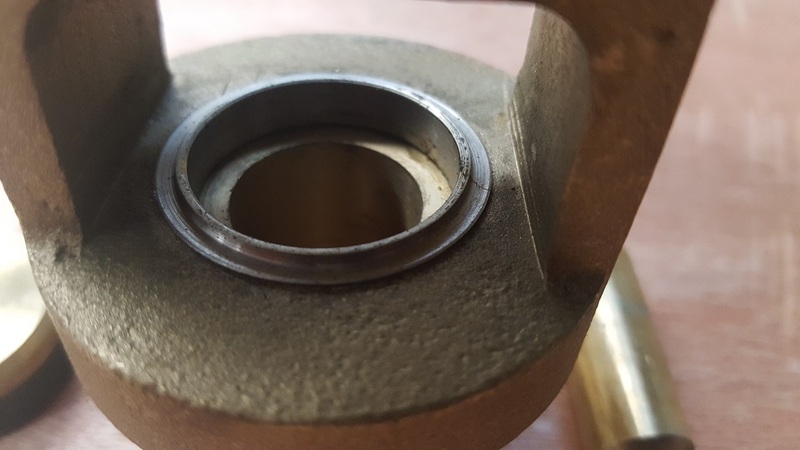 The problem this can present is varying quality and higher failure rate due to corrosion. Peter used a metallurgist in Adelaide to develop a brass that was strong, able to be cast while resisting corrosion in many of the water types experienced in Australia especially from bore water. The product was a great success and Peter soon found that there was a solid market for his product. However, things are never that easy. Peter spent many days meeting with local retail outlets in his immediate area. The response was less than promising with many rural stores saying he “would never sell a product like that. They will be too expensive. Farmers won’t pay for them”. Peter realised his product would have to sell for more than the current valves, but he also knew that it was superior to anything on the market. He therefore decided to go straight to the farmer and bypass the stores. He sold his first valves at the Lardner Park Field Days in 2002 from the back of his car with the stock in a small 6 x 4 trailer. While he didn’t sell out, he certainly received enough interest for him to keep going. I should say at this point that Peter is still selling valves to one of the VERY first purchases from that first field day. Peter continued to attend Field Days throughout Victoria and then dispatched his son Mathew to go up through NSW and into Qld where he visited a number of stores and attended any Field Days he could. The result was amazing. Peter soon had sales in these two states along with growing interest locally. One thing that seemed to be a common concern was the fact that the valve was in brass. 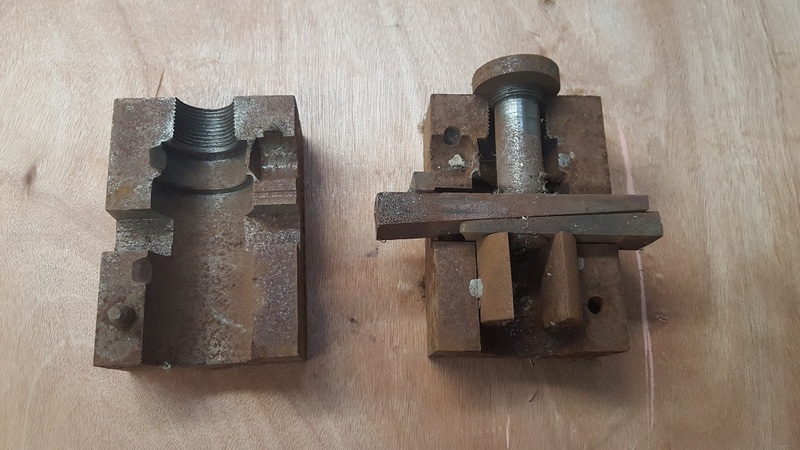 While the brass Peter was using had been specifically developed, the feedback from farmers was an increasing concern with how the seats of Brass valves generally were pitting and corroding leading to the valve not sealing. Peters design had never experienced this in any of the brass valves he had sold. Never the less he decided to get ahead of the game and was the first the incorporate a Stainless-Steel 316 insert as the sealing seat in his brass valves. 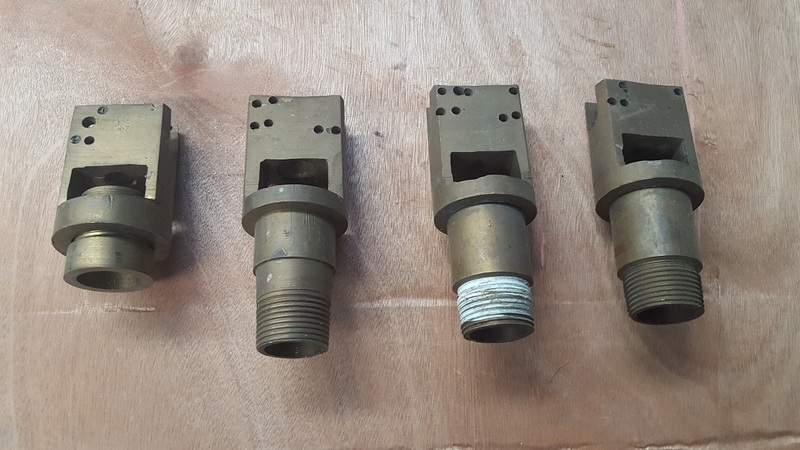 This had never been done before and Peters valves were not just the best valve for Flow rate, pressure, strength but were now going to be virtually corrosion proof! Peter had always strived to produce a valve that would out perform and out last any other valve on the market regardless of the installation type. This relatively simple design change was a huge step ahead of any of the competition. You can see that many of the current valves on the market incorporate a Stainless-Steel 316 seat. However, the first to do this was Peter and his Cocky Valves back in about 2005. Peter also made improvements in the washer seat configuration. Following some welcome feedback from a farmer in Poowong, he adapted the washer seat to accept a small washer disc. This allows for easy changing of the washer while providing an improved seal. 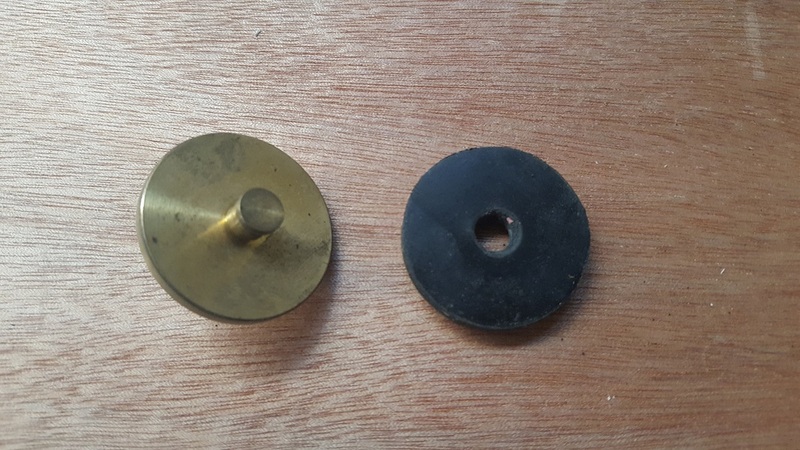 The washer seat that was originally used incorporated a small mushroom headed stud with the washer having a small hole in the centre. This was the conventional washer / washer seat arrangement at the time. The improved design was simpler to make and easier to change and gave a better seal. Peter continues to welcome feedback from the end user and sees this as an invaluable resource that is largely discarded by the larger players in the market. The new washer design remains in the current design. Once again you will see that many of the opposition valves have also tried to incorporate a similar washer style. 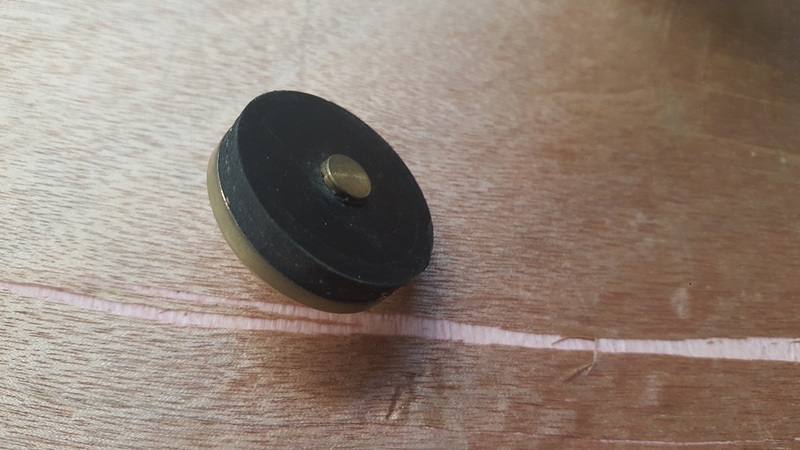 However, many of the designs do not readily allow for this style of washer / seat combination and so they remain constrained with what is in many cases, an inferior sealing system. The final transition was undertaken back in 2006. Peter decided he would be the first to produce a complete Stainless-Steel valve. Initially he used SS304 for the valve body with a SS316 washer seat pressed into place. However, Peter was never happy with simply relying on an interference fit to hold the seat in place. So, in 2010 he moved to a full SS316 body with all components also being SS316. 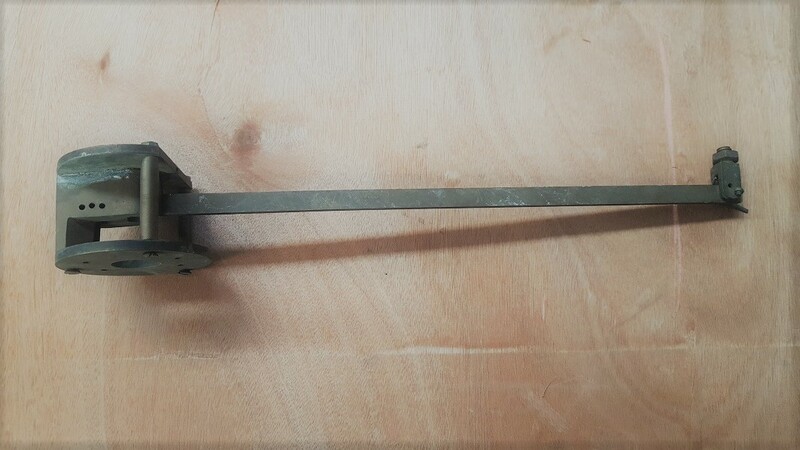 There were some smaller items such as deflectors that were made in SS304 for a short period but even those have now been moved over to SS316 material. At this stage in the valves development ALL components are available in SS316 as standard. The valve is gaining a recognition in the market for a superior valve in all aspects. In 2014 the Kondinin group in WA approached peter to see if he would be prepared to be involved in a RESEARCH REPORT they were doing specifically on Stock Trough valves. Peter jumped at the opportunity. The Kondinin Group engineers put 15 common trough valves to the test, simulating a lifetime of use in a month-long test. 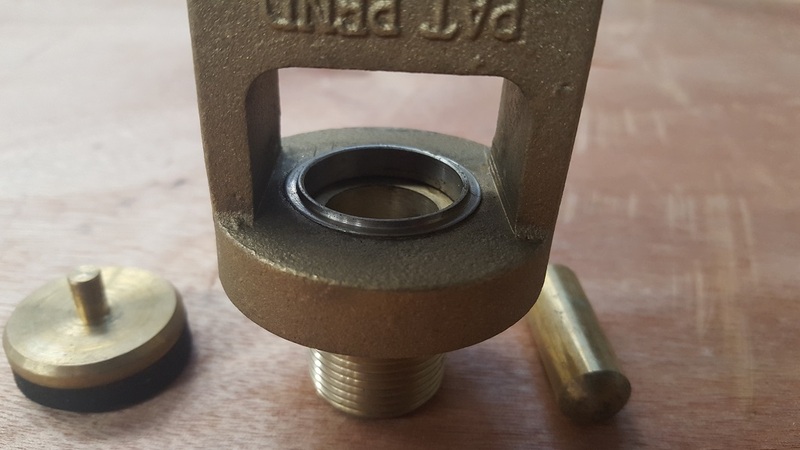 The Kondinin Group engineers selected a range of 25mm valves in plastic, brass, bronze and the only Stainless-Steel valve being the Cocky Valve. 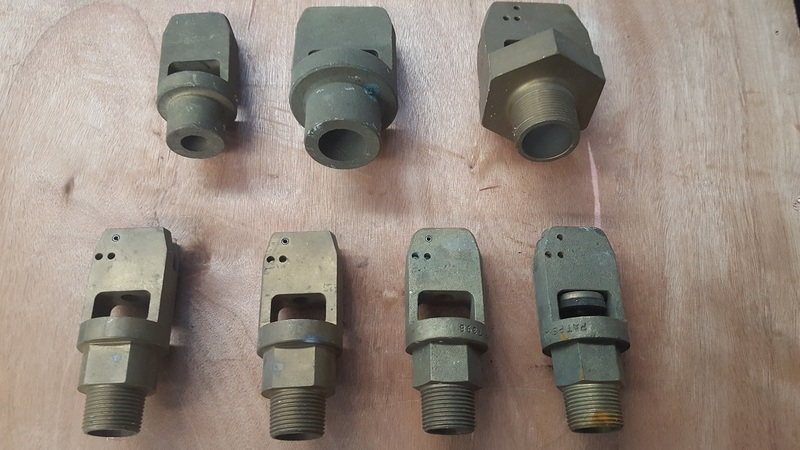 All Valves were run off a common manifold in a test trough with a maximum cut-out pressure of 240kpa (35 psi) and cycled on and off 20,000 times. When you are a small family run business, it is a hard road competing with the larger players in the market. The rural sector is a hard place to operate and Peter is the first to admit he is the underdog in the fight for market share. This is further compromised by a general shift in the retail stores looking to reduce the amount of stock on the floor. We have all been in a store and heard “we don’t have any stock here, but we can get in in for you.” The problem that presents for a product such as the Cocky Valve is that if the store doesn’t have stock when the customer needs a valve, the customer will purchase an inferior product simply because he can’t wait. The cocky Valve is available through all the major retail outlets such as Norco, CRT Rural Co, Elders, Landmark as well as most smaller and independent rural stores nationally. If the store you deal with haven’t heard from us then simply get them to give us a call and we will do the rest. Peter is continuing to work with stores to get stock ON THE SHELVES. There are many stores that are coming on line with over 450 stores nationally now carrying what we would regard as “adequate” stock levels. These are the stores that show up on our STORE LOCATER. Peter has personally visited more than the 1000 stores on our data base, always leaving display stock and in most cases either consignment stock or stock for resale. In 2013 Peter began visiting stores throughout Victoria, South Australia and Tasmania. This continued in 2014 with Peter expanding into southern Queensland. It was at about that time that Peters sister, Bernadette started working in the business and now handles all day to day administration, clerical and office management roles of the business. Peter often refers to his sister as one the most important business decisions he has made. A message echoed by Peters wife Geraldine, who remains involved in the business despite recently achieving a Batchelor in Dementia Care from the University of Tasmania. In 2015, Peter drove 114,000klms over an 8-month period visiting stores throughout Australia. He then completed a smaller run the following year revisiting many of the stores in WA, NT and SA. However, as a small family run business that time on the road was simply not sustainable. It’s a challenge taking on the big boys, but Peter has never been afraid of a challenge. From when his local stores first said “he would never sell his valves”, he decided to dig in and push to have his valves available. He knew his valves were better than what was being sold and he felt every farmer should have an opportunity to purchase a valve that would simply work, not break and not block. The Cocky Valve is, by any test, the best value valve on the market! 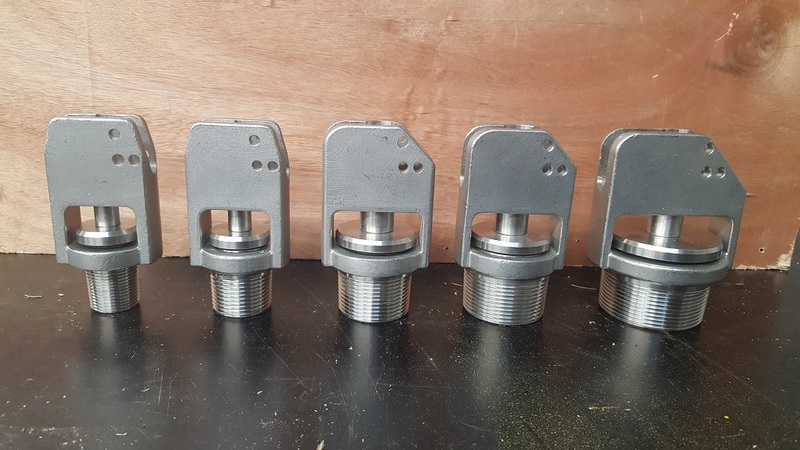 The valve has undergone many years of field tests to verify the quality and durability of this Australian innovation in stock trough valve design. Manufactured entirely from Stainless Steel, the valve is virtually indestructible and requires little if any maintenance. We Guarantee the valves against breakage when installed as recommended. PROVEN PERFORMER. Practical trials in all conditions prove the unparalleled durability and reliability of this Valve.